2018 718 Cayman GTS, Gt Silver With Black Leather Sport Seats. Pasm Sport Suspension, Pdk, Heated Seats, Heated Steering Wheel, Entry And Drive, Gt Sport Steering Wheel, Bose, Porsche Connect, Adaptive 18 Way Sport Seats. 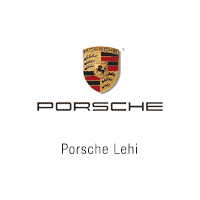 Lane Change Assist, Heated Multifunction Steering Wheel, Power Steering Plus, Bose, Premium Package Plus, Heated Seats, Porsche Entry and Drive, Vented Seats, Sport Package, Sport Chrono Package,GT Steering Wheel, Sport Exhaust. Premium Package Plus, Lane Change Assist, Heated Multifunction Steering Wheel, Electric slide Tilt Sunroof, 14 way Power Seats, Power Steering Plus, Voice Control, Heated Seats, Vented Seats, Sport Package, Sport Chrono Package, Rear Axle Steering, Sport Exhaust, GT Sport Steering Wheels, Bose.